Later this month the European Commission will publish proposals that will place stricter limits on the amount of noise cars and lorries can make in the EU. According to a European Environment Agency Study, 55%, around 67 million people in European cities and towns “endure daily road noise levels above the lower EU benchmark (55 Lden) for excess exposure”. The most obvious way to reduce noise pollution from traffic is to reduce the amount of traffic. However EU legislation has failed to make any difference since its introduction in the 1960s. 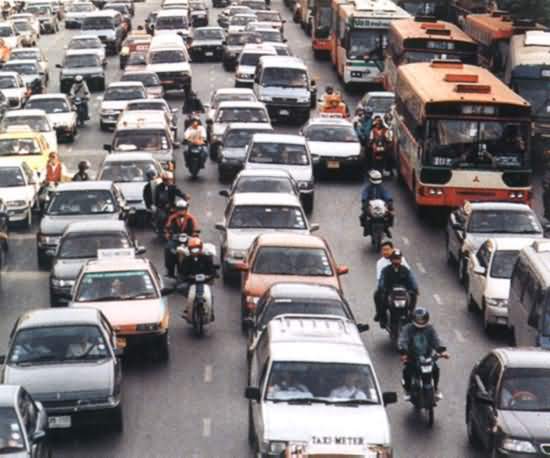 Researchers now believe that the amount of traffic would have to be reduced by more than 40% in most places to have any discernible effect. Furthermore, the noise from lorries and buses masks the noise from smaller cars – so heavier vehicles need to be targeted first. Herein lies the problem today. Typically for EU legislation that concerns the automotive sector, there is plenty of lobbying and arguing. Germany wants to change the way the noisy vehicles are categorised by the EU to a system based on power to weight ration. But environmental NGO Transport and Environment has pointed out that this heavily favours sports cars and family vehicles manufactured in Germany. The proposals are now due to be published on 30 November, and there is likely to be much debate, similarly to the other main pollution emitted from motor vehicles, exhaust gases. However when the social costs of traffic noise in EU22 are estimated to be more than €40 billion per year, the political motivation to find viable solutions is strong. What will the legacy of the 1,000mph car be?